The biggest complaint with the PSP was the fact there wasn’t a second analog stick for shooters. Sony corrected that issue with the PS Vita, but there haven’t been many shooters for the system. Unit 13 was ok, but Call of Duty: Black Ops 2 Declassified turned out to be a mess. That doesn’t seem to have deterred Gearbox Software from bringing Borderlands 2 to the Vita. The dream finally becomes a reality, as Sony, Gearbox Software and 2K announces today at Gamescom that the addictive first person shooter-looter mayhem of Borderlands 2 will be coming to the PlayStation Vita. I watched as Randy Pitchford, president of Gearbox Software, stood on stage at the Rezzed show in the UK a year ago and told fans that, with Sony’s support, he’d love to see Borderlands 2 on the PS Vita. 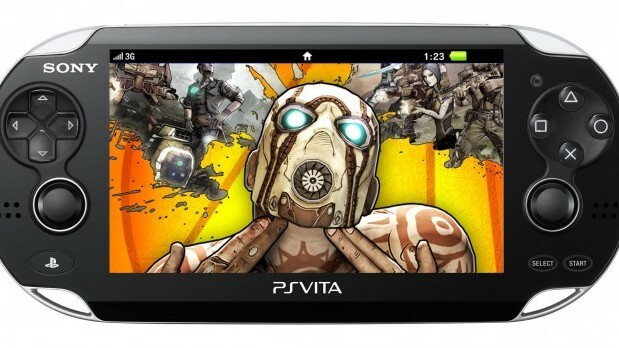 For the last year, Gearbox Software, 2K, and Sony have been inundated with emails, tweets, forum posts and more from passionate gamers across the world pleading for a PS Vita version of Borderlands 2. You spoke, we listened, and with the wonderful collaboration between 2K, Sony and the team at Iron Galaxy Studios – makers of indie fighting game Divekick – we can finally make Borderlands 2 on the Vita a reality! I will admit that the prospects for the Vita looked pretty grim for a while, especially after it seemed like there weren’t many new announcements for the system during E3. Gamescom certainly has changed that perception. Hopefully the controls will be accurate showing that developers will finally put the right analog stick to good use.